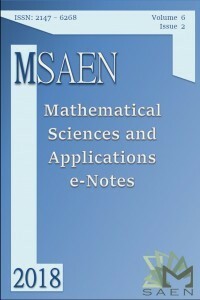 Mathematical Sciences and Applications E-Notes (MSAEN) is a fully-refereed electronic journal. Journal is devoted to the high quality publication of current research developments in the fields of mathematics since 2013. MSAEN has an Open Access policy: all content is freely available without charge to the users. Users are allowed to read, download, copy, distribute, print, search, or link to the full texts of the articles in this journal without asking prior permission from the publisher or the author.